I am French and have been living in Ireland for the past 20 years.With a French Honours degree, I have acquired extensive coaching and training skills through my professional experience, having worked at different management levels in the service industry for more than 10 years. Based on my personal experience of teaching French to young children, I decided to share my passion for this language. I am now training further with the Alliance Française. I enjoy teaching French and helping students to reach their academic or personal goals. I ran French classes for primary school children in my local community center as well as local primary schools. I have been giving French grinds to Junior and Leaving certificate students for the past 6 years as well as one to one adult French classes from beginner to advanced. (face to face and online). I also work on a contractual basis for other language schools. For young children, early knowledge of the French language is acquired through games, rhymes, songs and role play as well as an introduction to French culture, traditions and geography. For secondary level students, I focus on grammar and building vocabulary together with written and oral practice using past exams papers. Progress is continuously assessed and my grinds are individually tailored based on strengths and areas of development. I also provide comprehensive notes. 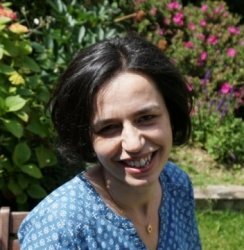 CarineFrom Hamada (5/5): (Senior Cycle French) Very good tutor and keen to teach .